SACRAMENTO, CA [September 26, 2018]—Breakfast at California inns are often spectacular affairs, but sometimes the culinary offerings can be upstaged by the inn’s spectacular vistas. At these 10 California B&Bs, guests can enjoy a leisurely gourmet breakfast while watching waves crash along the beach, spotting wildlife against a forested backdrop, or taking in the panoramic views of a city skyline. 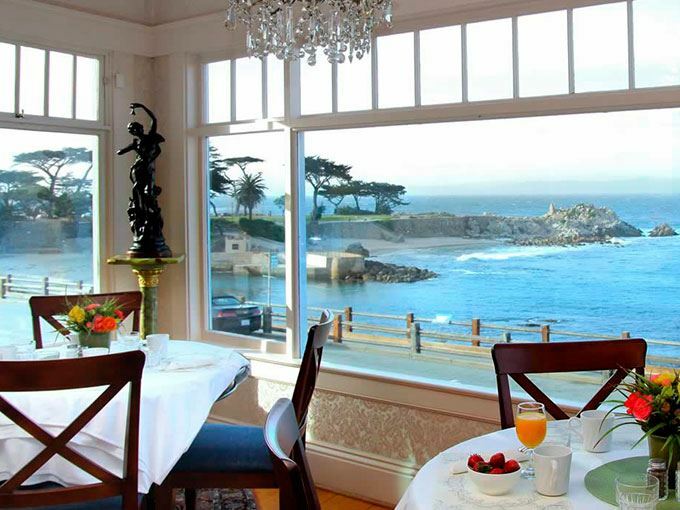 Every room of the opulent Seven Gables Inn in Pacific Grove—including its oceanfront dining room—offers sweeping views of the Pacific Ocean. The dining room overlooks Lover’s Point, with waves pounding the rocky coast, sea otters frolicking offshore, and whales spouting in the distance. The inn’s sumptuous, chef-prepared breakfast spread—including the featured egg dish du jour—is made more decadent by the crisp white linen-draped tables, the crystal chandeliers, and the hypnotizing view. 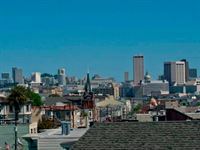 Guests of Inn San Francisco can enjoy breakfast on the inn’s rooftop deck while taking in 360-degree views of the city. Located in the Mission District, the inn’s city skyline views include the magnificent City Hall dome and the Potrero and Bernal Heights Hills. Each morning, guests are treated to a generous, leisurely breakfast of homemade quiches, seasonal fruits, breads and other baked goods, charcuterie, assorted jams, cereals, yogurt, and choice of beverages. The decadent spread and urban vistas add to the appeal of this historic, Victorian inn. The Elk Cove Inn & Spa hosts a gourmet champagne breakfast each morning that might be more accurately described as a feast. Breakfast features a sumptuous array of egg dishes, mouth-watering pastries, fruit, and distinctively Southern dishes like corn pudding, spinach quiche, and biscuits and gravy. 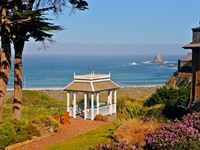 Also on the menu is one of the most spectacular views on the Mendocino coast. Nestled in peaceful seclusion atop a bluff overlooking a mile of dramatic beachfront, the inn’s dining room offers stunning views of it all. After breakfast, guests can descend the inn’s private stairs to the beach. 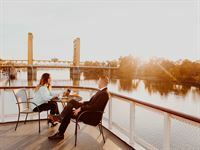 In the heart of California’s capital city, among historic brick buildings and cobblestone roads, the Delta King Hotel floats on the Sacramento River. With panoramics of Downtown Sacramento, the pyramid-reminiscent Ziggurat building, and the golden-hued Tower Bridge, the hotel boasts the most iconic views in Sacramento. Breakfast is served daily aboard the Delta King, and features delights such as the Capital City Brioche French Toast, Cabin Boy Omelet, and the All Aboard breakfast—all prepared with fresh, organic eggs. Perched on the edge of the Monterey Bay Marine Sanctuary in Pacific Grove, the Martine Inn’s dining room offers commanding views of the waves crashing against the rocky coastline with a variety of wildlife frolicking in the water. The outdoor show is only rivaled by the inn’s Victorian-style breakfast. A chef-prepared gourmet entrée is served on fine china with silver, crystal and lace, and is accompanied by fresh-baked pastries, freshly squeezed fruit juice, seasonal fresh fruit, and a choice of beverage. 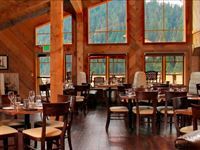 The vaulted windows of the restaurant at Highlands Ranch Resort offer breathtaking views of Childs Meadow backed by forested hills and mountain ridgelines. 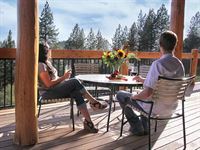 The newly-built resort near Lassen National Park has a rustic chic, lodge-like appeal with natural stone and wood finishes. Guests of the resort are treated each morning to chef-prepared breakfasts featuring fresh, seasonal cuisine. Weather-permitting, outdoor dining is also available for taking in unobstructed views of the rugged landscapes. The deluxe breakfast at the Balinese-inspired Pantai Inn features a menu that changes daily, fresh local produce, fresh bread from a local bakery, house-made granola, and chef-prepared entrees. Overlooking the Pacific Ocean and the inn’s dramatic courtyard, the breakfast room showcases imported artwork and views of the La Jolla coastline as far as the eye can see. The breakfast experience is so reminiscent of the Indonesian island that inspired it, guests might forget for a moment that they’re actually in California. Courtwood Inn’s multi-course breakfast begins with the aroma of locally roasted coffee, followed by a selection of seasonal fruit, a sweet or savory breakfast entrée, and homemade muffins or scones. All the while, the inn’s 2,500-foot southern view takes in pine tree-studded rolling foothills all the way to the San Joaquin Valley. The Courtwood Inn prepares breakfast using the freshest locally sourced and organic products available, including fruits, herbs, and vegetables from its own organic garden and orchard. 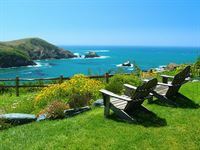 Guests of the Albion River Inn are treated to an exclusive breakfast with one of the best views on the Mendocino coast. The inn’s restaurant is tucked inside an unassuming building among a collection of cottages off Highway One. But upon entering, the dining room opens to a panoramic vista of grassy headlands, rocky islets, and a protected cove where the Albion River flows languidly into the sea. The setting is enchanting, utterly romantic, and only rivaled by the impeccable service and the food. It’s partly the view from the back porch of the Amador Harvest Inn that keeps guests coming back for more: the visual embodiment of the serenity of the Shenandoah Valley. A full breakfast on the back porch is flanked by views of the lake and lawn, the inn’s 100-year-old barn, and occasional Canadian geese stopping by for a swim. The inn is tucked amid rolling vineyards, elegant oak trees, and shimmering lakes where birds, fish, and frogs are the only distractions.